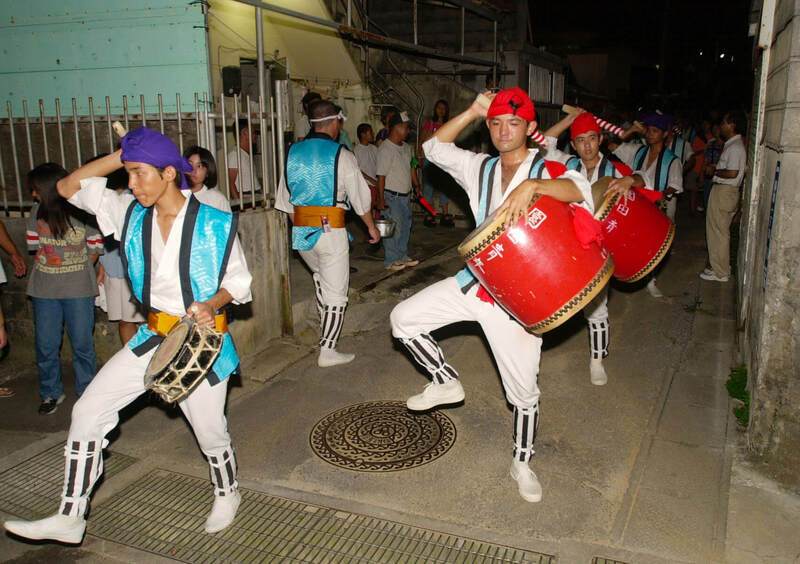 The traditional performing arts of Okinawa are quite diverse, ranging from dance to music and plays. Many of these arts originate from a time when Okinawa prospered as the Ryukyu Kingdom and have since been passed down through history to the present day. 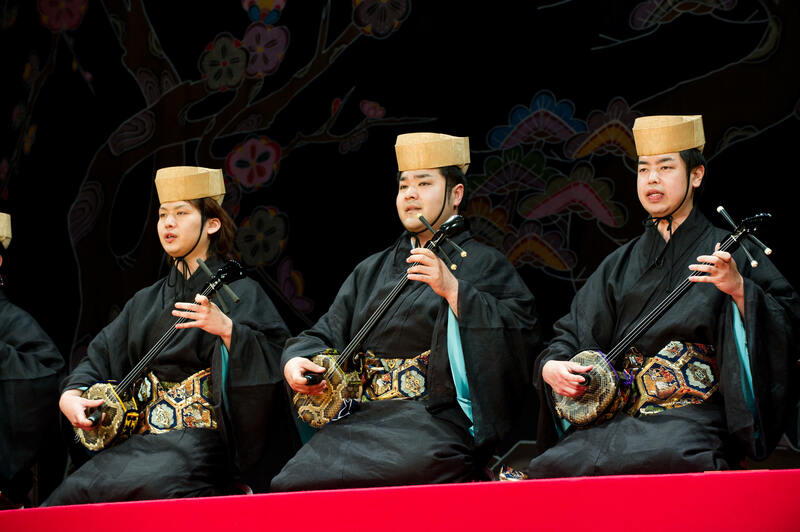 Here is an introduction to Okinawa’s traditional performing arts, which have evolved on their own while also being influenced by ancient Chinese and Japanese cultures and customs. Kumiodori dates back to the 18th-century Ryukyu Kingdom. It began in 1718 when Choukun Tamagusuku was appointed as the dance magistrate by the royal government. He created Kumiodori based on the Ryukyuan legends and ancient performing arts of the island while also referring to Japan’s traditional performing arts. Originally created for entertaining Chinese envoys, the dance comprises three elements, which are speech consisting of spoken language used by the royal government and native Japanese words, classical Ryukyuan music and singing, and a Ryukyuan dance. 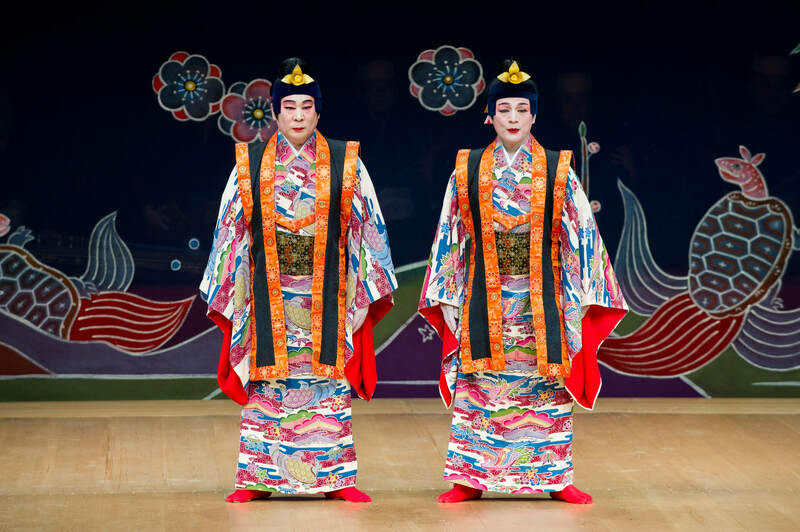 Similar to traditional Japanese performing arts such as Noh and Kyogen, it has been passed down through history as a stage play for the Ryukyu’s high-class society. The stunning details on the stage and in props used have received high praise, and in 1972, Kumiodori was registered as one of the nation’s important intangible cultural properties. It has continued to gain widespread attention since being registered by UNESCO in 2010 as an intangible cultural heritage. The dances performed at parties for Chinese envoys during the dynastic era of the Ryukyu Kingdom became one of Okinawa’s traditional performing arts. They are divided into different sections consisting of Zo-udui, which expresses the daily lives and feelings of ordinary citizens, creative dances choreographed by modern dancers, and ethnic dances that inherit the spirit of each region. Each of these dances reveal a rich worldview. Originally, the dances were only performed by men, but since the Meiji era, many female dancers have been introduced, and the principles and possibilities of the Okinawan traditional performing arts have been greatly expanded. 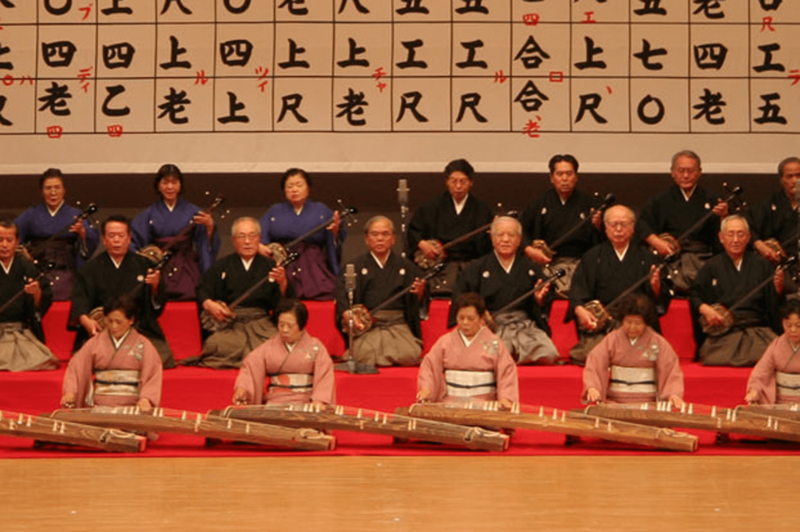 Music played in the royal court during the Ryukyu Dynasty was primarily sanshin music. It is believed to have been performed at banquets to welcome Chinese envoys as well as while visiting the Satsuma Domain and the Edo shogunate. It is also used in Kumiodori and Ryukyuan dance, playing an important role as one of the performing arts that represent the Ryukyu Kingdom. Characterized by playing a solemn and elegant tone, there are other instruments besides the sanshin that are used as accompaniment, including the Japanese harp, flute, Chinese fiddle and taiko drums. In contrast to classical music, Okinawan folk songs were refined and established by the general public and still prosper today with many fans inside and outside the prefecture. Originating from classical Okinawan music, folk songs gradually developed among the general public who told stories full of emotions through the songs they composed. The sanshin, which is said to have been introduced from China, is the main instrument and the re and la in the typical Western scale of do-re-mi-fa-sol-la-ti-do has been dropped to create the unique Ryukyu scale of do-mi-fa-sol-ti-do. Folk entertainment has been passed down through generations on each island of Okinawa, as well as in each region and village, which originated from events that centered around the harvesting of rice, such as giving thanks for the crops and festivals to pray for abundant harvests. The main ones are eisa and shishimai, and even today, many of these performing arts can be seen at festivals taking place in various regions, towns, and villages. During the lunar Obon festival, eisa dances are performed on the streets across Okinawa as part of the Michijune (parade). Okinawan plays are believed to have originated in 1879, around the time when the Meiji government abolished feudal domains and established prefectures. These consisted of opera, which created its own unique outlook on the world by connecting the lines of folk songs with classical music and dance, and plays based on legends and historical documents. 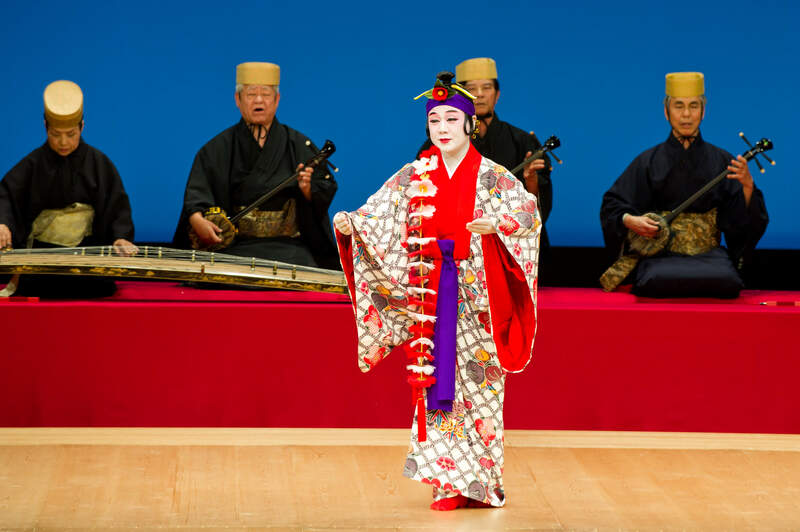 Okinawan plays depict the customs and history of the Okinawan commoners, and even today, they continue to be performed in various theaters, covering not only classical works, but also many new compositions.